Laurie lists contain the names of police officers who have been disciplined for matters involving dishonesty. Sanbornton's Heritage Farm Pancake House menu. Rep. Renny Cushing, D-Hampton, speaks to marchers in front of the State House in Concord. Shelly Raza protested on Thursday. She is pictured holding a photo of her son, Corey Peterson. Jeremy Van Dessel with his first Trout caught on a fly rod on the Cocheco River in Dover. British comedy icon Mr. Bean, played by Rowan Atkinson. Columnist Michael Davidow loves his Mini, too. Andrew Butler is pictured with his father Douglas Butler in 2014 while he was still a student at Hollis Brookline High School. Triangle Club in Dover getting a second floor. Bob Charest writes Why You Should Care NH. Susan Dromey Heeter writes Joyful Musings. Pictured at NH Business Review's BOB Awards. Sunshine Week Event at Nackey Loeb School. From left seated are: Nancy West, founder InDepthNH.org, Rick Gagliuso, New England First Amendment Coalition Board, David Saad, RTK NH, James Kennedy, Concord city solicitor. Also Gregory Sullivan, NEFAC’s Board of Directors. Screen shot of then-Attorney General Joseph Foster and others announcing the investigation into Rockingham County Attorney James Reams. Judy Reardon, a senior adviser with Protect the Granite State, is pictured at a Site Evaluation Committee meeting. 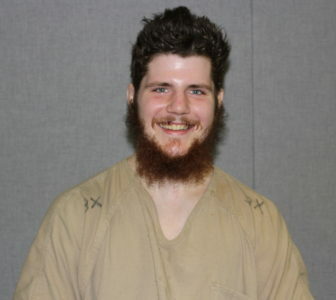 Kevin "Kelly" Gearhart is pictured at the Secure Psychiatric Unit at the men's prison in Concord. Eversource NH president Bill Quinlan is pictured at a recent Site Evaluation Committee hearing. Eric Largy is pictured leaving Hillsborough County Superior Court South in Nashua Aug. 8, 2017. John Harrigan is pictured at his Colebrook farm with his "attack dog" Millie. It’s been almost three years since I started the New Hampshire Center for Public Interest Journalism and launched the daily nonprofit online news outlet InDepthNH.org. I thank you for your support. We can’t do it without you. And as the need for more unbiased, indepth, investigative and enterprise local news grows every day, we need you even more. Donate here, please. Early on, InDepthNH.org reported that a law prohibiting nuclear waste burial in New Hampshire had been secretly repealed four years earlier. We then reported the failed effort in the legislature to have it reinstated. We reported 18 stories about a Nashua man named Eric Largy who had been locked in the Secure Psychiatric Unit at the men’s prison for more than five years even though his most recent state psychiatrist testified that he in fact didn’t suffer from the mental illness that was diagnosed in a competency evaluation years earlier. At the time, the state wanted to lock him up for another five years, but Mr. Largy opened his secret probate court hearings to InDepthNH.org so the public got to see for the first time in New Hampshire history how the process works. I believe the reporting sunshine on his case – along with Mr. Largy’s bravery – helped gain his release. 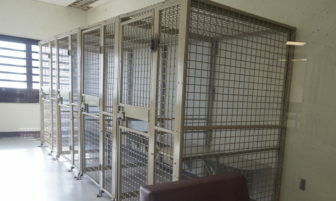 The Secure Psychiatric Unit has been an ongoing issue. The more InDepthNH.org has reported, the more the public has been outraged at discovering that people who are not charged with or convicted of a crime are locked up with convicted criminals who have mental illness at the Concord prison. We received a Fund for Investigative Journalism grant that allowed us to survey other states to discover that New Hampshire is the only state to do this. The most recent case of Andrew Butler, the 21-year-old Hollis man locked in SPU without committing a crime, has captured the public’s attention. People who know Andrew, a former star athlete at Hollis Brookline Academy, have raised money, marched from the prison to federal court in Concord and demanded that their elected officials do something to stop the practice. And it finally looks like next session, they will do something. Because InDepthNH.org kept up the pressure, the Secure Psychiatric Unit is now top news on local TV stations and in major national news outlets. These are stories you wouldn’t have read about without InDepthNH.org. We also wrote about the 64 people who were severely injured in 2015 in New Hampshire hospitals in what experts call never events. And we reported numerous articles about dishonest police officers and the secret lists of their names kept by county attorneys in New Hampshire. And with another Fund for Investigative Journalism grant, we examined the police problem nationwide. InDepthNH.org reports on matters that aren’t being covered by other news outlets. We give our stories to statewide media. I believe that nonprofit news should help struggling newspapers, not compete. We hold government accountable, but we also believe it is important to give voice to marginalized people, places and ideas – those often ignored by most news outlets who simply don’t have the staff to handle them. Like Northern Pass for instance. 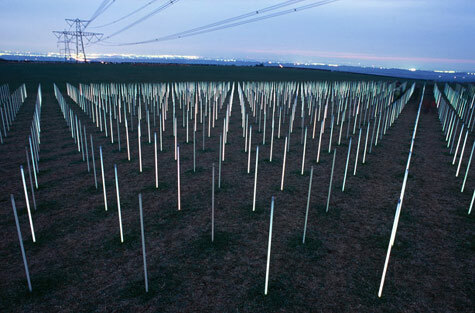 A number of people I trust told me a couple of years ago that the proposed Northern Pass Transmission project wasn’t getting the kind of vigorous coverage that the largest proposed utility project in 40 years should get. As veteran journalist Garry Rayno and I discovered in covering Northern Pass, they were right. Few news outlets provided the gavel-to-gavel coverage that InDepthNH.org did and continues to do. These were long days when reporting and writing would last into the night most sessions. Often, InDepthNH.org was the only member of the media at the table. We covered the hearings and reported original stories outside of the hearings, news that matters in New Hampshire. One was the story in which critics claimed the developer Eversource hired experts on the health and safety who were known in the industry to say whatever the applicant wanted. There have been many other news stories, not to mention our excellent podcasts and columns written by Susan Dromey Heeter, Bob Charest, Michael Davidow, Mark Okrant, Wayne D. King, George Liset, D. Maurice Kreis, Garry Rayno, Roger Wood and Monica Drahonovsky. We hope soon to have John Harrigan again writing about the View from Above the Notches. In a perfect world, we could bring back editorial cartoonist Mike Marland. 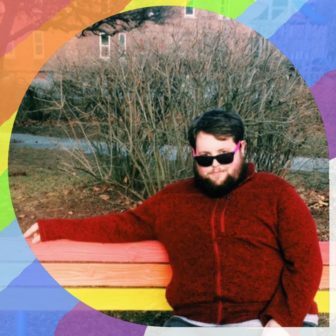 We will miss Sam Whitaker, our Keene State College intern who wrote The Gay Agenda. Alas, he has graduated. Congratulations and thanks for the great columns, Sam. Let me know if you know of anyone who wants to try to fill his shoes. Sam Whitaker wrote The Gay Agenda. Most of our writers still work for free or for very little considering their talent and experience. Not only do we need to get to a point where we can pay everyone, we also need to grow. New Hampshire needs full-time, well-paid, experienced journalists and fundraisers to keep it happening. Donate: How much is it worth to you to help grow the future of journalism in NH? If you can, sign up for a one-time donation or become a sustainer. Volunteer: We are putting together a team to raise money by selling ads and reaching out to foundations and major donors. Come along for the ride. We have a good time working for the good of great journalism. InDepthNH.org is also seeking people to sell advertising on a commission basis.